Are you looking a professional butcher knife? This here is your definitive guide to buying the best butcher knives out there. Knives is one of the most important part of a chef. The secret to a great barbecue - and to any kind of recipe that heavily involves meal, really– from the very beginning, way before the meat even touches the grill. A good butcher knife will make handling meat, no matter how thick, an easy task which is why you should definitely consider getting one. In order to buy the best butcher knives for your needs the first thing you need to do is understand how butcher knives work and what makes them so special. 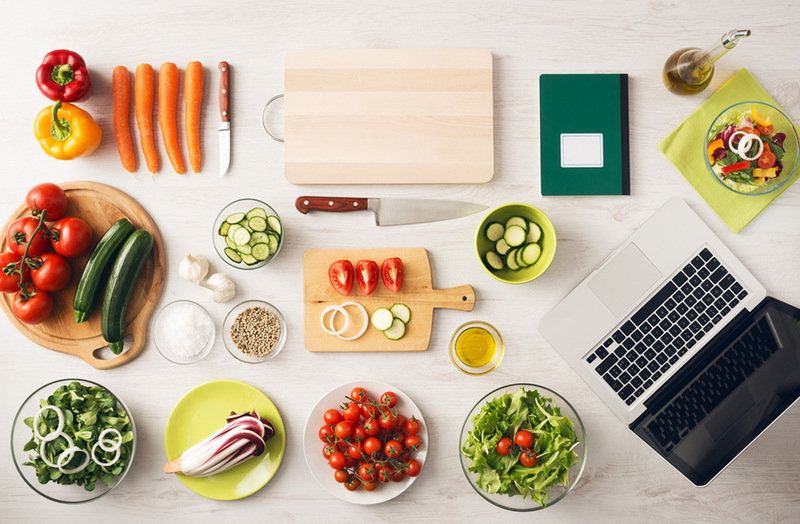 Once you understand this, you’ll be able to decide what features are more useful to you and which ones you should prioritize so you can be sure you’re making the right choice for a professional butcher knife set. Let’s get started! Also, check out our article on the best sharpening stones. The handle is one of the most overlooked, yet more important, parts of any kind of tool out there and it’s no different when it comes to butcher knives. The goal is to find a handle that’s comfortable to grab, particularly for extended periods of time, and that allows you to handle the knife quickly and without any kind of pain. A handle that’s too large or too small won’t be comfortable to hold so make sure to try different handles until you’ve found the right one for you. As for materials? You’ll find handles made out of wood, polymer and other synthetic materials and they all offer their unique advantages so the choice is really up to you. Straight: The most traditional, great for cutting meat, tendons and in between bones. Curved: Great for boning and cutting, but not as straightforward to use as the straight blade. ​Stamped Blades: Stamped blades are cut off a stainless steel sheet which makes them lightweight, resistant to rust and affordable but not particularly durable. 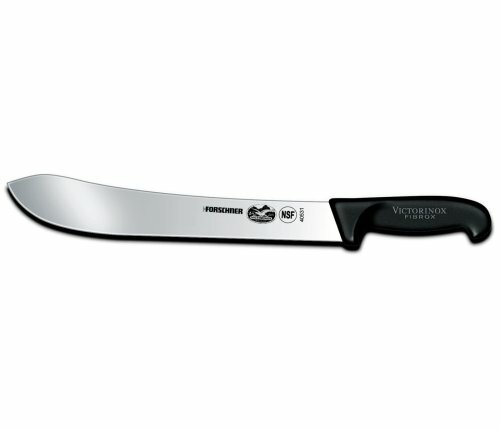 These are popular amongst those who’re using butcher knives for the first time and those on a tight budget. ​Forged Blades: As their name indicates, forged blades have been forged from steel and shaped into a blade. This more traditional approach makes them considerably more expensive but they’re also very resistant and far sturdier. This kind of blade is popular with professional chefs and people looking for a more solidly built butcher knife. Blade Thickness: As a general rule, butcher knives’ blades are thinner than other knives which allows them to slice easily through meat. 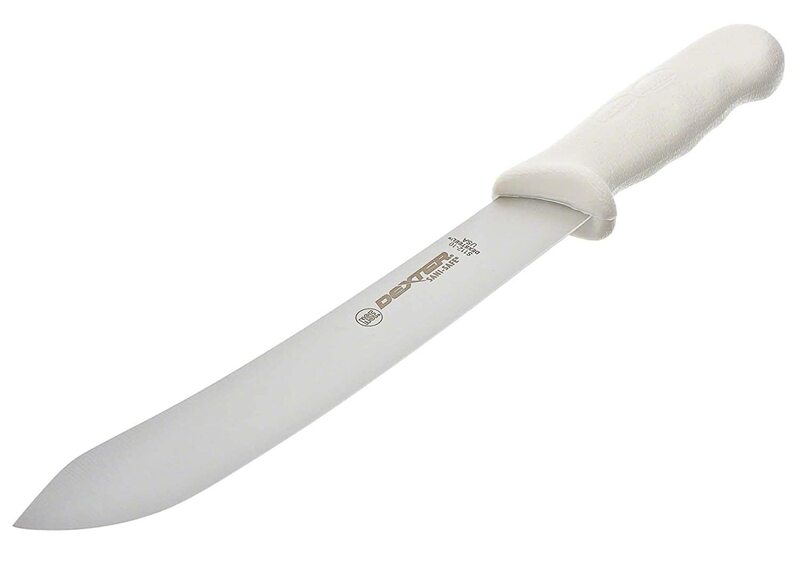 Some butcher knives have thicker blades than others so make sure to look into the blade’s thickness before buying it. Blade Size: The larger the blade the harder it will be to handle. 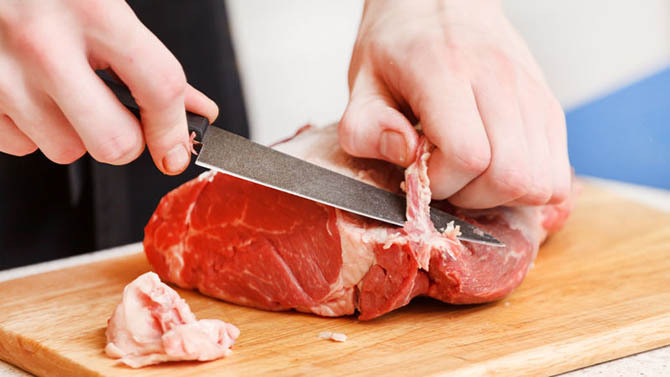 You’ll use your knife to cut through meat, not to impress anyone so make sure the knife isn’t too large for your hand or else you’re going to have a hard time. ​Handle Thickness: The same goes for the handle thickness. You want to make sure you’re able of holding it comfortably and that you can move your hand without a problem. You also want to make sure the blade doesn’t feel disproportionately heavy, as that’s an indication of defective design. ​Tang: Ever wondered what the little metal circles on the handle are called? Well, they’re the tang and you want to make sure they run all the way through the handle, from bottom to top as they’re what hold the blade and the knife together so the more the merrier. Now you know how to look but maybe you’re not sure where to start? We took the liberty of looking through hundredths of butcher knives to bring you the following list, which covers some of the best butcher knives out there so you don’t have to! When it comes to sharp blades it’s hard to beat Victorinox, which is why we’re placing this butcher knife at the top of our list. Our favorite thing about this knife is just how easy it was to use. The handles are very comfortable and their slightly curved design allows for a great grip. The blade is very sharp and the edge goes all the way to the handle which not only makes it easier to sharpen but also allows you to use the entirety of the knife, putting less strain on your wrist. We used this knife for cutting, quartering, slicing and more and while the blade turned out to be too long to wield as comfortably as we expected, we had no problem working with fish, beef, veal and other kinds of meats. Another good thing about this knife is that Victorinox is so certain of the quality of their knives that this one comes with a lifetime warranty… against manufacturing defects, that is. This means you’ll have to follow certain instructions to make sure the warranty is respected, such as hand washing it and not using it for things other than butchering. If you’re looking for a butcher knife that you can use inside and outside the kitchen this is a wonderful choice. 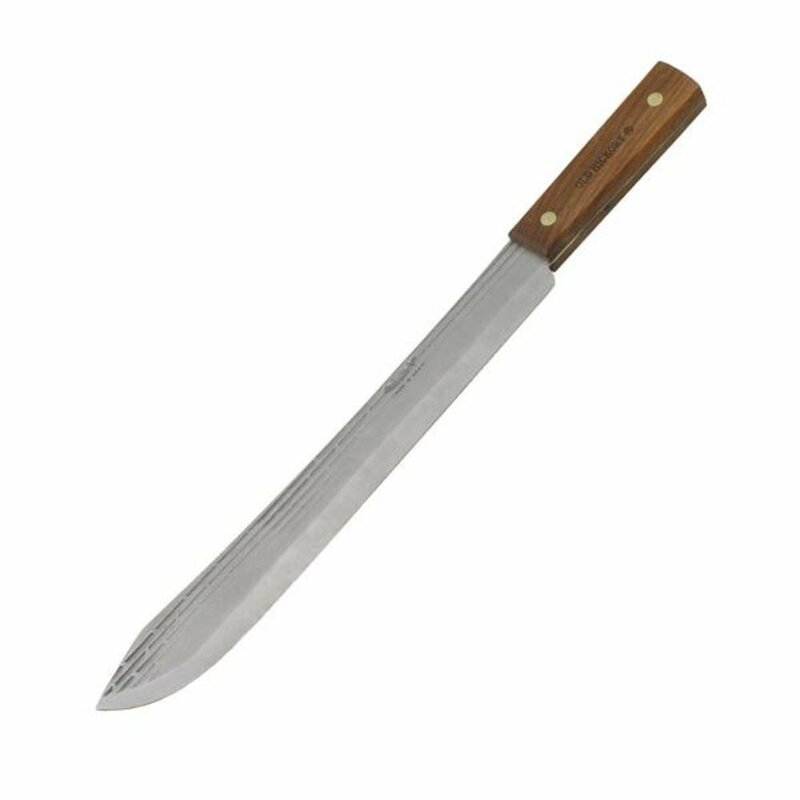 The 711 Hickory Butcher Knife is great for chopping, skinning and even doing some light machete work which means is definitely the kind of knife you want to take out camping. It’s simple, no-nonsense design means it normally wouldn’t’ be very visually appealing but since the handle is made out of hickory wood and the blade is made out of solid, high quality steel the 711 is actually quite pretty. The best thing about this knife is just how affordable it is, even for those in a very tight budget and you’ll be happy to know that they didn’t sacrifice any quality to be able to reach that price. There are some sacrifices, however, because the steel used for this knife isn’t stainless so you’re going to have to be careful with it. That, plus the fact that the handle is wooden, means that this knife should only come in contact with water when it’s going to be cleaned and that it needs to be oiled after every wash. Failing to do this will result in a rusty blade and a wrapped handle. Not a lot of thought went to the handle design either. It’s solid, it looks good but it’s not particularly ergonomical and the square base might bother some. That said, the blade can be resharpened over and over, making this a very long lasting knife as long as you know how to maintain it. A great knife for home kitchens, the Rada Butcher Knife is made out of surgical grade steel which means it will stay really sharp for a very long time. This knife was specifically designed for home kitchens which means it’s lightweight, dishwasher friendly, small enough to be used everywhere and very affordable. The handle is about 7 inches long, which makes it a great choice for people with small hands and those looking to work in small spaces. The downside of this size is that it might not be able to handle big game as well as other butcher knives but it will work wonders in fish, poultry and consumer grade meat. It also works well with potatoes and solid vegetables, so that’s always a plus. We’ve already mentioned it before but it’s worth doing it one more time. This is a very lightweight knife, as it was made with aluminum and the blade is rather thin (even compared to other butcher knives) so if you’re looking for something heftier then you should probably look elsewhere but if you’re looking for a light knife that will allow you to cut quickly and without getting tired the this is definitely the knife for you. If you’re looking for a non-nonsense knife but the idea of a non ergonomical handle bothers you then this is the knife for you. The Dexter-Russell is a rather simple looking butcher knife that nevertheless excels when it comes to performance. 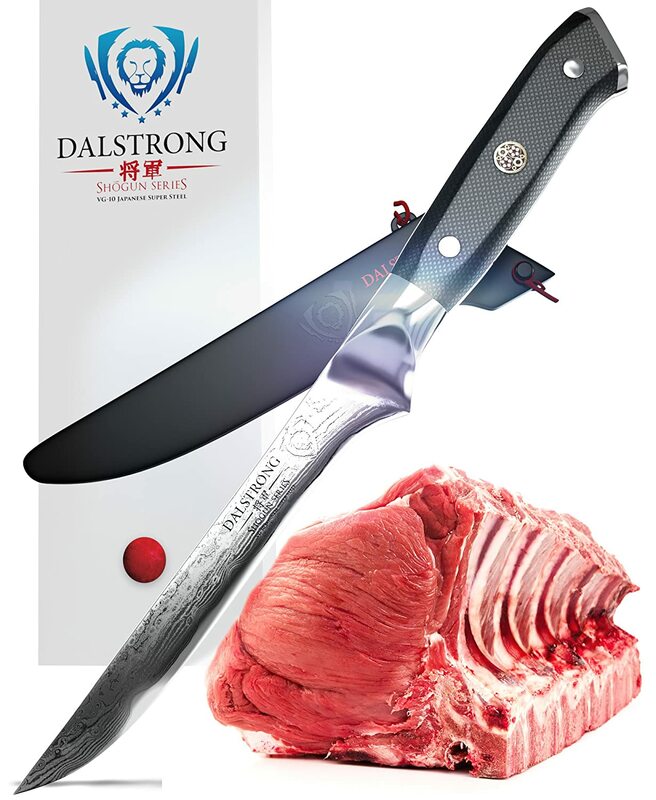 It’s incredibly sharp, even out of the box, and will do short work of large cut of meats, ribs, fish, chicken and just about any kind of meat cut. It holds its edge very well and it cleans easy, which is always a plus. The handle, though comfortable, is a little thicker than others which means that it might be a bit uncomfortable to use and even painful after long periods of time. This is a rather expensive knife, at least compared to others in this list, but it works well and it’s very well made which means it will live up to the expectations of just about any butcher. 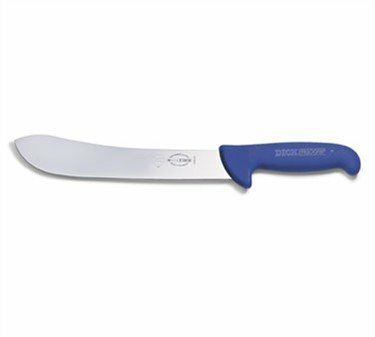 It’s a little large, with its 10 inch blade plus handle, so it may not be the best tool for a home kitchen but it’s a great choice for butcher shops or a meat processing plant. You could even take it out with you camping, as long as you don’t mind its white, slightly sci-fi appearance. The blade, which is hand sharpened, is also stainless steel so you won’t have to worry about rusting or corrosion anytime soon. The handle, plastic, means this knife will work well even in humid conditions. We started this list with a Victorinox knife so it’s only fitting that we finish with one. This is one of the smallest knives in this set and, as such, it’s perfect to use at home, be it in the kitchen or at the grill. Despite its small size, it’s rather sturdy and surprisingly hefty which means that you won’t have trouble using it even against large cuts of meat. It works well for boning, cutting, filleting, slicing and just about every use you can think of. True to the Victorinox brand, the blade is very sharp and the handles are ergonomical, making this the perfect knife to handle for long periods of time. You’d think that because its small size this isn’t the kind of knife you’d use at a butcher shop but you’ll be surprised. This is a surprisingly versatile knife that will help you in all sorts of situations: From cutting a cooked brisket to field dressing large game. Old Hickory knives are known for two things: Their price and their quality. As their name implies, this brand uses hickory wood for their handles, which drastically reduces the production costs and lets the manufacturers focus on the part that really matters: The blade. Made with carbon steel, the blade is known for being solid, easy to sharpen, lightweight and very resistant. The material is known to corrode if you don’t take care of it properly, but when properly cared for it will last for a long, long time. 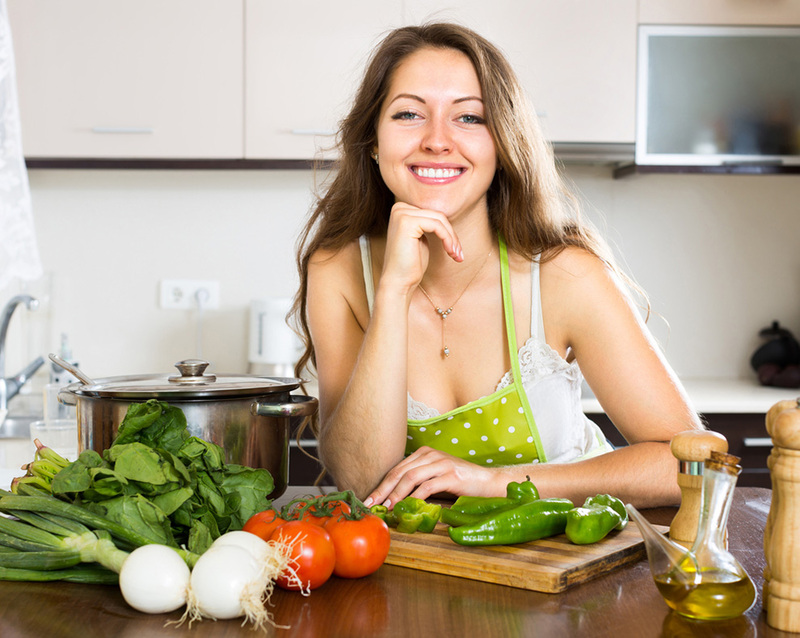 There’s a reason why butcher knives, or any kind of knife that’s frequently used in the kitchen, aren’t commonly made with wood handles nowadays and that’s because the material isn’t antibacterial. This means that this knife, though great in quality, isn’t well suited for everyday use and should be better reserved for your occasional BBQ party. This knife isn’t dishwasher safe and should be dried immediately after using it to keep the wood from swelling and the blade from rusting. Don’t leave it overnight in the sink either, as this is a sure way to ruin it. All that said, we can’t exaggerate the quality of this knife: The blade is super sharp, the handle is large enough that you won’t have any trouble using it and all in all, if you don’t mind making an extra effort to care for this knife, it’s a wonderful investment for your kitchen. Perhaps adding a boning knife to a list of butcher knives is cheating but, trust us, you’re going to love what this knife has to offer. This knife has exceptional cutting power, with a blade that’s super sharp and versatile. Made with military grade materials, this knife can help you debone, skin, fillet, trim and cut through your meats with an ease that will amaze you. The blade isn’t the only good thing about this knife. The handle has been designed with the busiest kitchens in mind and it’s capable of resisting harsh conditions, such as cold, heat and even extreme moisture. Which, as you well know, are things easily encountered in the kitchen. This is a rather small knife, but it’s still a wonderful addition to any kitchen, as the blade has been treated to avoid corrosion and has been treated with nitrogen to make it extra hard and to give its fine tip extra sharpness. While it might seem silly to warn you about the sharpness of a knife (knives are meant to be sharp, duh!) we’re going to take the risk here to keep your hands safe. This knife is very sharp and it has a fine tip that can cut you while you’re cleaning or sharpening the knife if you’re not careful. The creators aren’t kidding when they said this knife has scalpel like sharpness. If you’re looking for a super sharp knife capable of aiding you in your every-day kitchen needs. This is it! When it comes to knives of any kind, it’s hard to find a brand that’s more trusted than Victorinox and this beautiful curved knife proves that that trust is well placed. This is the kind of knife that both professional and home chefs would like to own. It’s affordable, but it also has great quality, featuring everything you could possibly ask for in a butcher knife. The stainless steel curved blade makes it easier to remove bones, make precise cuts, cut through large cuts of meat and more. The blade is sharp from top to bottom and has been ice tempered to ensure it stays sharp as long as possible. One of the reasons this knife is so inexpensive (at least as far as Victorinox knives go) it’s the handle, which is made with rosewood. This gives the knife a beautiful appearance but also makes it harder to care for as wooden handled knives need to be hand washed and dried immediately after using to prevent corrosion and swelling. Another reason this knife is relatively inexpensive is because it’s been stamped, not forged, but it still boasts the Victorinox quality and comes with a lifetime warranty against manufacturer errors so you don’t have to worry about the knife falling apart anytime soon. If you’re looking for the middle ground between inexpensive and professional chef knives, this is an option you should consider! Now this is a knife you don’t usually see in ‘the best’ lists of anything and we can’t figure out why. 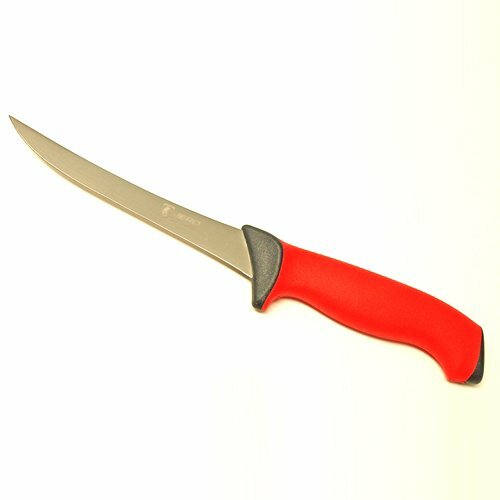 With a long lasting, ergonomic and very durable handle, this knife is fantastic to use in the kitchen, where splashing liquids and slippery hands can be the norm and where cutting, slicing and chopping for hours is a common occurrence. As the name implies, this knife was made with ergonomics in mind, which means that the handle is large, comes with an extra-large thumb rest and lets you use your knife without exhausting yourself, even during the most daunting tasks. The stainless-steel blade is of great size and very sharp, letting you slice through the meat like it’s butter. Not only that but the blade is easy to sharpen and it’s been forged directly into the handle, reducing any edges or gauges that may let bacteria gather. Easy to clean, affordable, comfortable to use and available in a variety of colors, this is the knife you want if you’re looking for a high-quality butcher knife that doesn’t make you break the bank. We’re finishing this list not with a butcher knife but a boning knife that will make slicing through meat, deboning, chopping and filleting a breeze. This knife is sharp straight out of the box and it’s ready to tackle just about any task. It is made out of high quality German steel that, with proper care can last an whole lifetime and the handle was made with comfort in mind, with molded lines that give you a firm grip, even when covered in fat and blood. The handle is also heat resistant, cold resistant and made with entirely non-toxic materials, which is something you always want in a knife. This knife is one of the most affordable ones in this list, which makes it an excellent option for those of you who are looking for a way to complement an already extensive knife set. The 6” blade might not be long enough for some, but it has been sharpened all over so you can use it from top to bottom, which makes it an excellent tool for cutting through large slabs of meat. What's The Best Butcher Knife? Now that you know what to look for in a butcher knife and what are the best butcher knives available in the market you’re ready to go out and buy your own. 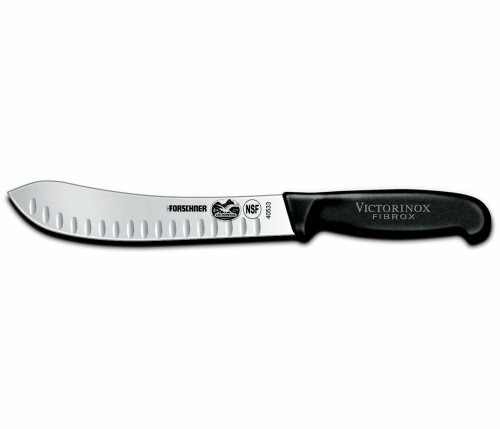 Based on above reviews, we choose Victorinox Cutlery﻿ 12-Inch Straight Butcher Knife, Black Fibrox Handle as the best butcher knife because it met most of the qualities of a good unit. This knife is sturdily built, easy to use and clean after a hard days work. If you know how to properly wield a blade you will find that this knife will serve multiple functions; from filleting salmon & halibut on the docks to quartering a deer in the garage. Thanks for reading! You may also like our related articles: Best Sushi Knives and Wusthof vs. Henckels.